PLANET VIP-1120PT is a two-line SIP desktop phone with color display that brings lifelike richness and voice quality to phone calls. The VIP-1120PT is a reliable communication device as it features ease of use, versatility, high-quality design and superb audio performance. 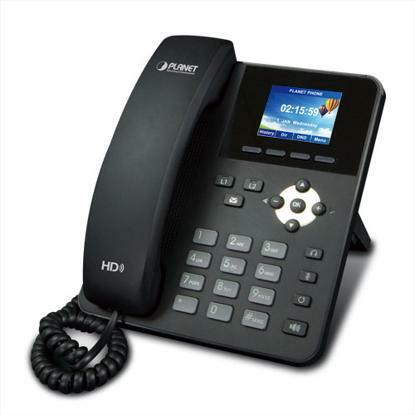 Besides, its full duplex speakerphone system with HD voice can definitely make communication between two or more business parties crystal clear with no interference noise in the background as it supports the G.722 wideband codec.